Denise DeRosa, Founder of Cyber Sensible, LLC, is dedicated to helping people harness the power and potential of a positive digital life. Denise believes in the importance of digital literacy for all. She is dedicated to empowering her clients with the tools needed to embrace the current social and digital technologies in meaningful, creative, and positive ways. 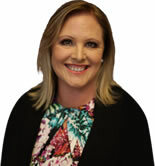 She focuses her discussions on practical ways to both manage and capitalize on technology with internet safety tips and digital reputation management advice. 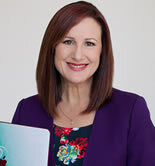 Denise is the Founder of Cyber Sensible, LLC (cyber-sensible.com); an expert in online safety, digital citizenship, media literacy and a frequent speaker on parenting in the digital age. 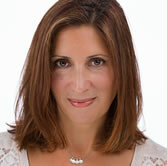 Denise has a Masters Degree in Communication, Culture and Technology from Georgetown University and over 15 years experience with highly recognized brand organizations including AOL, VH1 and Comedy Central. Susan Wind is a college professor who has taught, designed and implemented Criminal Justice Courses throughout the US for the past fifteen years. She has worked in different entities of the criminal justice system. For the past twelve years, she has been doing consulting work with financial institutions all over the US, providing training on cybercrimes and security topics (i.e., money laundering, identity theft, atm/debit card thefts, fraud, bank robbery, active shooters, social media, etc.). For the past four years, she has been conducting research and offering programs to local businesses on cyber-bullying and social media awareness. Susan has published numerous articles on this topic and has developed curriculum for schools to implement in their training programs. Susan helps parents, students and school administrators how to safe on social media! From Chicago, Illinois. Married to Felicia Quarles Treadwell, Principal, Gaston MS, Fresno Unified School District. Three adult children: Joshua, Gabriel and Honoree. 18th year teaching in low-socioeconomic high poverty schools in Fresno. 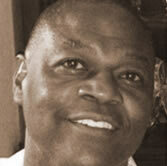 Lemarr believes that 21st century leaders do not wait for change. They welcome it, expect it, and anticipate for it. I am a Nurse and mom of 3. I am passionate about positive parenting. Helpkidssucceed.com is a website that provides resources for parents and children to help them succeed in school and in life. Part of that is to equip kids to make good choices online or offline. 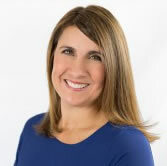 Alison Jacobson, also known as The Safety Mom, is a national safety expert, blogger and speaker and has dedicated her life to educating parents about issues that affect not only themselves, but everyone in their family. She is the mom of four children one with intellectual and developmental disabilities and step-mom to another two ranging in ages from 11 - 19. In 1997 she lost her first son to Sudden Infant Death Syndrome. Through her appearances on national television shows including CNN, Fox & Friends and Good Morning America, her blog and her public speaking, she reaches millions of parents every month with advice on how to raise self-confident kids in a healthy, happy and safe environment. She has worked with organizations including INOBTR, AT&T and COX Communications tackling cyber-safety, distracted driving and teen dating violence. Alison give parents the most accurate information about cyberbullying, stalking and online dating abuse so that they can protect their children online and in real life. The Alannah & Madeline Foundation works to create a safer, stimulating and more supportive society for all children through a range of intervention and prevention programs. Utilising the Alannah & Madeline Foundation as a cyber-expert provides access to 20 years of experience, research and learnings and almost 10 years’ experience in keeping children safe online. 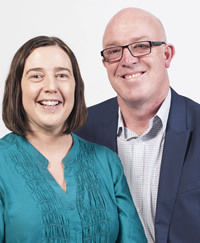 ySafe Solutions was founded in response to an increasing concern from West Australian parents, voicing that they needed Find out more about what their children were doing in the online world. 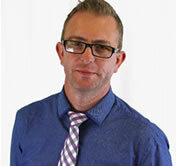 The name ySafe Solutions reflects the only objective of the business - to keep your Gen Y's safe online. So how can we help you? Being the local IT guy I'm deeply involved in cyber safety. I work with the faculty, our kids and their parents on issues, incidents and solutions. Family Zone is a great idea for families who want a filtering and monitoring system that grows with their family. From being able to closely supervise and filter for very young children to being able to relax restrictions as they get older and wiser. Family Zone can be as used as a simple internet filter or do so much more, depending on what your family needs. I highly recommend Family zone for its commitment to catering for every type of family situation, both at home and on mobile. I was an early adopter of digital technology and the internet for marketing online support communities and multi media, going back some 20 years. My attitude to the online world, video gaming, social media and online media is enthusiastic. My talks to students are often met with cheers, finally a grown up who isn't an old Fuddy Duddy about technology.I show students how to keep themselves safe online and provide them tips on how to grow into amazing digital citizens who can moderate their own online use, so that it is balanced and healthy. Not Just Fear Tactics! I offer a positive and common sense approach to cyber safety. I look forward to working with you on building a cyber safe generation. How difficult is it in these busy times to keep abreast of the latest internet threats ? It seems that every day there are new threats emerging making is very difficult for parents to keep up. As parents of young children ourselves, we found it frustrating that there were very few avenues available to parents and carers to provide a safe online environment for their children. The cyber safety of our children, and lets face it, adults as well, is critical in this digital age. With more than 30 years experience in the Information Technology sector, as well as a Social Welfare background, we are ready to help guide you along the cyber safety pathway. Cyber Safe Home Solutions provides information and tools to assist parents in creating and maintaining a safe online environment for their family. We've partnered with Family Zone because it is simply the most comprehensive tool available on the market today, helping you to create a cyber safe home, and even extending that safety net to mobile devices. 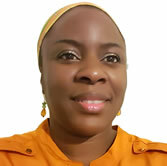 I'm a speaker, educator, counsellor and mother to 5 children. With a passion for keeping kids safe and smart online, I am able to merge my professional work and research with the personal experience of raising kids today. With advice, understanding and realistic strategies, parents are able to incorporate technology into their daily lives in a way that minimises the risks, whilst allowing them to take advantage of all the many wonderful benefits this new world has to offer. Hello, I'm Eva Wickham founder of Be Safe Online. Be Safe Online teaches you how to implement your own online safety rules tailor made for your children. We're not about giving you advice on how to raise your kids, but our aim is to provide strategic support so you can build your own values into their online social activities. Ultimately, our goal is to help you teach your children to be critical thinkers and behave responsibly and safely online. As a parent of three children in today's technology-driven society, I know all too well how crucial it is to learn how they're connecting online. We'll give you the tools to identify the risks they face when they're on the net. Let's connect through Family Zone to make sure our kids connect safely online. The Tech Mum was launched to educate parents on internet safety for their families. If you feel like you don't know what your kids are looking at online or what they are doing on their devices, then you've come to the right place. As parents, we make it our business to guide our children in their everyday lives and endeavours by giving them skills to practice and tools to use. Why would it be any different when it comes to technology? Should we be handing over devices such as iPads and smartphones without a clear set of instructions? Handing them over without understanding the devices capability? Should we wait until our child is exposed to inappropriate pictures or cyberbullying before we begin to inform ourselves on the dangers involved? Get 'Tech-Fit' with The Tech Mum and add Tools to your Internet Safety Toolkit. Simple explanations and practical advice to become involved in your child's digital world. 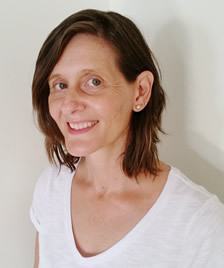 Susan Wind is a college professor who has taught, designed and implemented Criminal Justice Courses throughout the US for the past fifteen years. She has worked in different entities of the criminal justice system. For the past twelve years, she has been doing consulting work with financial institutions all over the US, providing training on cybercrimes and security topics (i.e., money laundering, identity theft, atm/debit card thefts, fraud, bank robbery, active shooters, social media, etc.). For the past four years, she has been conducting research and offering programs to local businesses on cyber-bullying and social media awareness. 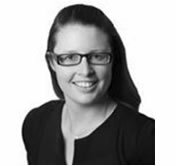 Susan has published numerous articles on this topic and has developed curriculum for schools to implement in their training programs. Susan helps parents, students and school administrators how to safe on social media! ScreenTime is time tweens and teens spend in front of their laptop, smartphone or tablet. Today’s tweens & teens spend more time using media than they spend with their parents and teachers. This new mobile society means parents and educators must acclimate “outdated” ScreenTime rules. Simple and easy to use, it provides schools and parents with a range of options to ensure they are meeting their duty of care and to allow children to understand safe and respectful technology use. Protect Our Kids is the solution for every parent, every home and every child. In partnership with Family Zone we provide a stress-free, web-based filtering service where all the hard work has already been done. By choosing Protect Our Kids as your Cyber Expert (CE) you will also become part of our community of like-minded parents helping their children navigate through the online world safely. Our hope is to enable every parent, regardless of their understanding of technology, to provide a safe online environment in their home. 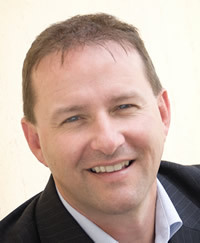 ySafe Solutions was founded in response to an increasing concern from West Australian parents, voicing that they needed more information about what their children were doing in the online world. 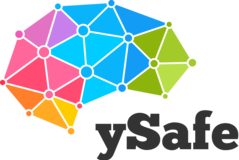 The name ySafe Solutions reflects the only objective of the business - to keep your Gen Y's safe online. So how can we help you? 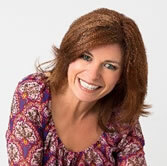 I'm Dr. Kristy Goodwin, a children's technology, learning and development researcher, speaker and author (and mum!). I'm on a mission to help parents feel confident raising their kids in this digital age.